Doctor's Best Phosphatidylserine (PS) contains SerinAid, which provides a vital nutrient, PS, for the brain's nerve cell connections (synapses). 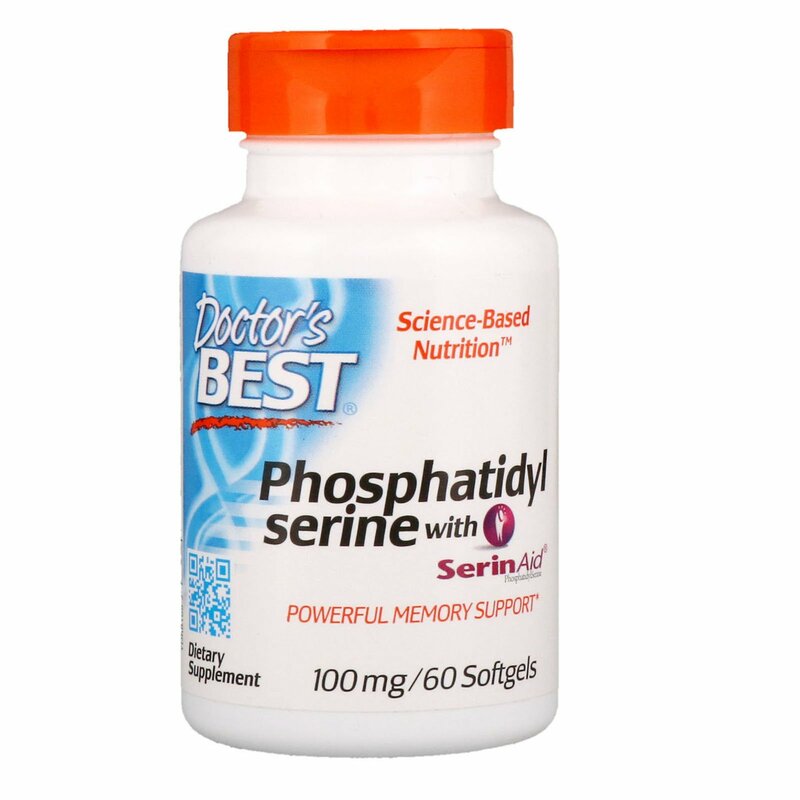 PS helps facilitate the activity of neurotransmitters involved in learning, memory, and mood. 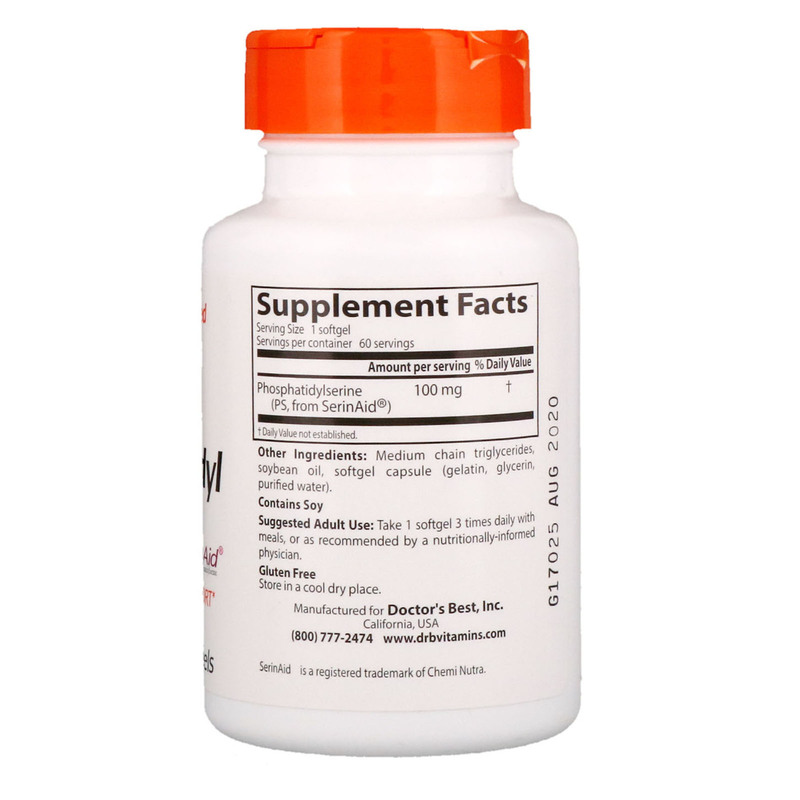 PS supports overall cognitive function, focus and mental clarity. PS and other phospholipids are structural components of brain neurons that can help enhance cell-to-cell communication. Numerous double-blind clinical trials document the benefits of PS for memory, learning, and other cognitive functions. PS also helps the body cope with stress. Adult Use: Take 1 softgel 3 times daily with meals, or as recommended by a nutritionally-informed physician. Medium chain triglycerides, soybean oil, softgel capsule (gelatin, glycerin, purified water).